Get evocative with your menswear accessories this winter season and accessorize your collection of blazers and suits with tantalizing floral patterned tie in hot hues of reds and blacks. There's a power in accessorizing with ultra masculine accessories like this designer necktie from the Chevalier Fashion House. 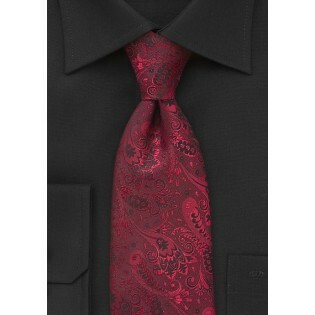 Create a knockout nightlife ensemble by teaming this tie with a white poplin dress shirt and a black velvet blazer. 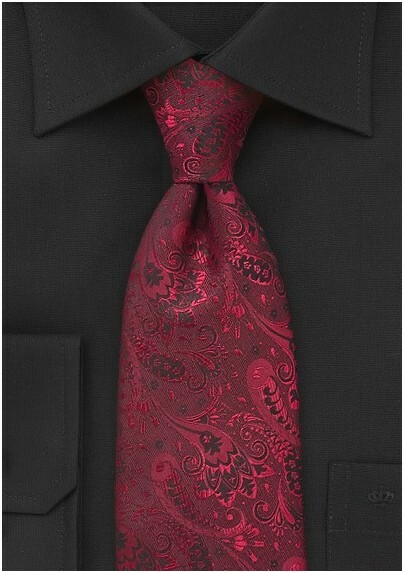 Designed by Chevalier and made from pure silk.